We need your help! 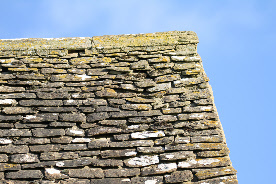 The Cotswold stone roof of the Morris Memorial Hall urgently needs to be conserved if this important building is to be saved for the future. 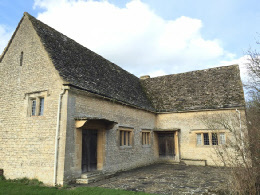 In 1928, William Morris's daughter May set about raising funds to build the hall as a memorial to her father in Kelmscott. She enlisted the support of many friends, scholars, politicians and writers including George Bernard Shaw, Rudyard Kipling, Lord Olivier, Emery Walker and Lord Faringdon and successfully raised sufficient funds to build the Morris Memorial Hall six years later in 1934. Today, in 2016 we are continuing May's journey of support for this memorial by our campaign to raise funds to conserve the roof of the hall, now in an exceedingly fragile condition. We need to raise £130,000 and are asking for your help to do so. So far we have achieved the magnificent sum of £116,200. Contracts are in the process of being signed and that work is commencing on 13th March to be completed by 26th June. Upon completion of the work, we intend to follow May's example shown here in her fundraising leaflet of 1928, and publish a list of current donors so that they too may be remembered for their support of this unique and important Arts & Crafts building. The Morris Memorial Hall is a registered charity number 304323.